There are countless art galleries, shopping centres and music venues to be explored in Belfast. The port is also a gateway to all Northern Ireland has to offer, such as Giant’s Causeway and visiting the world-famous Game of Thrones sets. Birkenhead port acts as a seasonal substitute for Liverpool from November to February. It offers easy transport links to further destinations across England and Wales as well as being a short distance from Liverpool city centre. Douglas is the Isle of Man’s capital and only ferry port. It acts as the access point to the Island’s endless scenic cycle paths and walking routes as well as the famous, adrenalin-filled TT and Festival of Motorcycling events held on the world famous Mountain Course. We offer the only ferry service from the Isle of Man to the vibrant, friendly city of Dublin. The port is a short distance from the bustling city centre bursting with culture, and also acts as a gateway to great transport networks to destinations across Ireland. 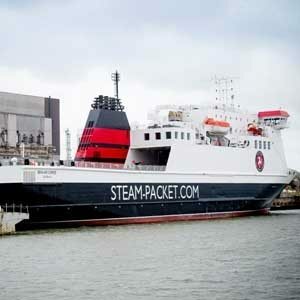 Heysham port acts as a gateway to many destinations in England and Scotland as it is just a short drive to the M6 Motorway. Experience the bright lights of Blackpool or the bustling city of Manchester. If you are looking for an active break, climb England’s highest mountain in the breath-taking Lake District. Liverpool port is nestled within this cosmopolitan city, with cultural venues and shopping centres close by. Great road and rail networks link Liverpool to the rest of England, such as bustling Manchester. 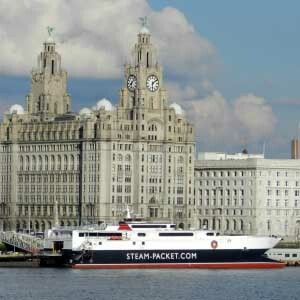 This port operates services from March to the end of October (Birkenhead as a substitute from November to February).